Heading to Milwaukee for work or family is a big transition from life on the East Coast, but you can make your trip as smooth as possible with the right mover. Simonik Moving & Storage has offered professional moving services to our long-distance customers since 1977. We're an established BBB-Accredited company with a reliable reputation and commitment to providing quality service. Simonik has also become an award-winning agent for Allied Van Lines with access to a nationwide network of hundreds of companies in the moving and storage industry. We have the team and resources needed to handle moving from NJ to Milwaukee or anywhere else in the United States. It's vital that you pick a moving company capable of managing all aspects of your relocation, no matter the size or scope. Simonik will visit you at-home to provide an in-depth price estimate of the costs associated with moving to Milwaukee from New Jersey. We'll also assign you a skilled Relocation Coordinator who can answer your questions and support you throughout the relocation process. 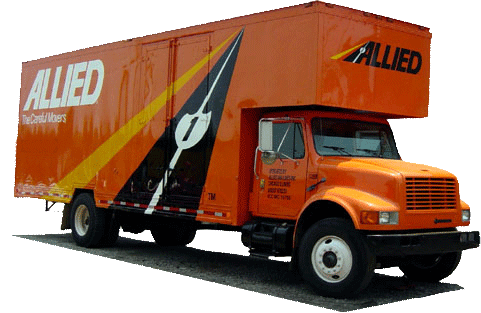 Our company can also provide short- and long-term storage of household items while you take the time needed to complete your New Jersey to Milwaukee move. All of your items are kept safe in our long-distance shipping containers, which can be stored for any length of time in our secured warehouse facility! As a North and Central Jersey based company, Simonik is proud to serve customers throughout the region, including: Hunterdon, Mercer, Middlesex, Monmouth, Morris, and Somerset counties. As a previous recipient of the 'Mover of the Year' award from the New Jersey Warehousemen & Movers Association, we are very aware of our responsibility to the members of this community. We've become a ProMover with the American Moving and Storage Association to remain informed about the special requirements that come with conducting a long distance relocation, such as a move from NJ to Milwaukee. Call Simonik Moving & Storage to learn more about our moving services. We'll be happy to go over everything needed for your NJ to Milwaukee moving plans. You can also request a free price estimate by filling out our online form right away!